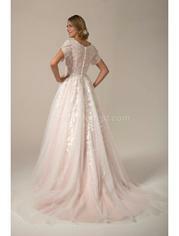 Beautiful Tulle "Sequin" ball gown with V neckline. 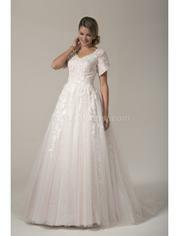 Bodice is finished with lace appliques and petal sleeves. Zipper back with buttons and court length train.